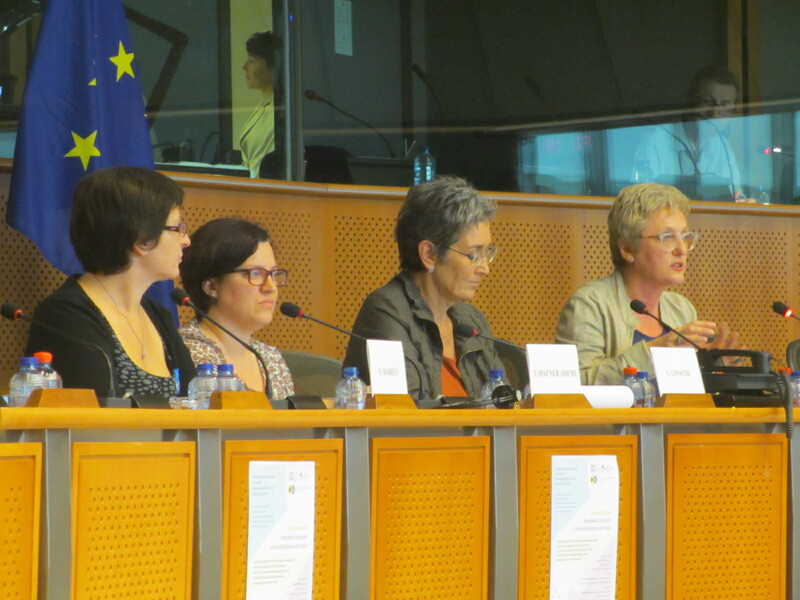 IDM took part in the debate “Norms over Forms: Empowering Civil Society in the Western Balkans and Turkey” organized by BCSDN and hosted by Ms. Ulrike Lunacek, Vice-President of the European Parliament (The Greens/EFA) at the European Parliament, Brussels, on 4th June, 2015. The event gathered CSO representatives from Western Balkans and Turkey to present the key challenges for the civil society operating environment in these countries. It aimed to raise a discussion with MEPs and other EU stakeholders on how the EU accession process can promote a stronger and more empowered civil society that enhances political accountability and fosters deeper understanding of accession-related reforms. The issues presented are findings from the Monitoring Matrix Regional Report for 2014 based on extensive monitoring conducted by BCSDN’s member organizations through the jointly developed tool – Monitoring Matrix on Enabling Environment for Civil Society Development. More information is available http://www.balkancsd.net/.